What's so great about the 12 gauge and what makes it the most popular shotgun in America? With its massive energy outstanding versatility, this gauge tops all other shotguns. 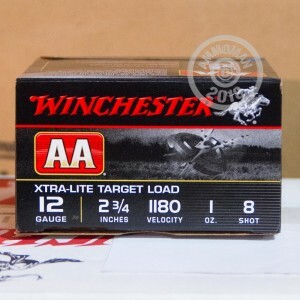 Whether you want to hunt, sport shoot, or defend yourself, the 12 gauge is a great choice. 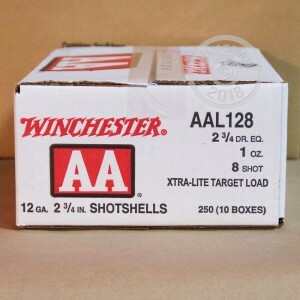 No matter what kind of ammo you are getting, you want the highest quality ammo at a reasonable price. Winchester offers just that. Since 1966, they have been providing some of the best ammunition and firearms in the world. 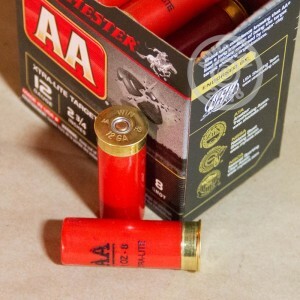 These AA Xtra-Lite 2 3/4" shells are perfect for those long days busting clays. Each hull carries a 1 oz. payload of #8 shot that leaves the barrel at a manageable 1,180 feet per second.